What started as a flu outbreak on a military base proves deadlier than Ebola. 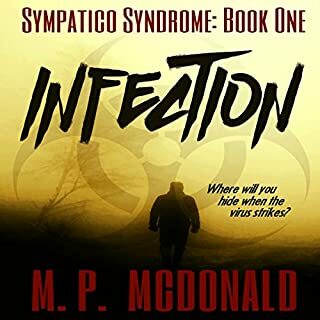 Sympatico Syndrome is unlike anything the world has ever seen. Victims' behavior is changing to accommodate the rapid spread of the virus. Former Navy epidemiologist Cole Evans is well aware of the rare, infectious diseases the military studies. He also knows the government's stance on sharing information with the public, so if the media has already learned about the disease, then it's too late to contain the outbreak. The end of the world is not glamorous. In a matter of days, the human race was reduced to nothing more than vicious, flesh-hungry creatures. Criminal defense attorney Samson struggles to keep his family safe and his sanity intact when the world comes apart at the seams. Veronica, the high school track star, races to get her brother out of their doomed city. Ben, a military veteran, is forced to come to grips with the end of the world as he fights the undead. Andrew, a police officer, struggles to maintain some sort of humanity in a world overrun by death and destruction. There are no heroes here, just survivors, and they all have one thing in common: Who you once were can no longer determine who you will be in the face of catastrophe. 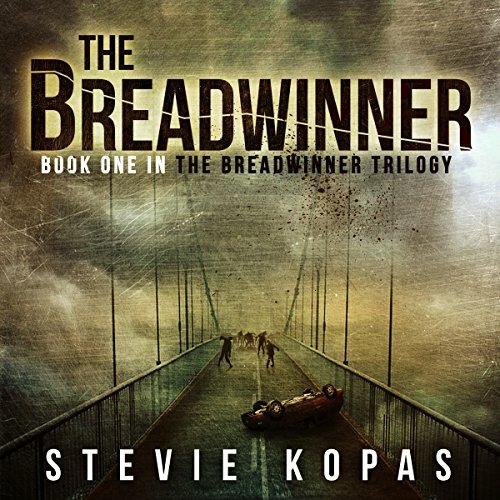 The Breadwinner, book one in The Breadwinner Trilogy, thrusts you head first into postapocalyptic Northwest Florida and will leave you craving more. We see the end of the world happen within a matter of days, with no warning nor explanation. This story is told from 2 main POVs, the first being Samson, an attorney and the second being Veronica, a teen. Both stories are heartbreaking and both people experience loss so complete that it takes them to hell and back. But both are tough resilient characters and easily likable. Character wise, this book has a lot of well written and developed ones. We see a lot of secondary characters but the 2 I'm focusing on is Sampson and Veronica. Sampsons story absolutely broke my heart. He went from being a success with a horrible wife, to being the hunter/gatherer with an even horribler wife. His wife is and has always been a gold digger and even with the end of the world happening, she expects the best things from life. He stayed with her for their 2 kids and now he stays with her out of necessity. He knows that he needs to look after all 4 of them now. He was such a sweety and I felt so sorry for him!! Veronica and her brother are at home with their dad. He goes out on a food run but comes back changed. He tells her that she needs to leave the city, take her brother and leave. She has no choice and so begins her journey. She was such a resourceful girl and easily relatable. Plot wise, it was really fast paced and I flew through it. With the abundance of characters, it was sometimes hard to keep track but the story comes together in the end. I loved that the author didn't get hung up on how or why there were zombies, though I would like to know eventually. She got into the nitty gritty straight away and swept us up in the story. She described the Zombies perfectly and it wasn't overly gorey either. I also loved how we had 2 different types of Zombies, the slow ones, who have been turned for a while and the fresher fast ones! It really added something unique to the Zombie genre. In all, an impressive debut! It was fast paced, emotional and engaging. From the first page, you will become engrossed with the characters and will want to keep up with their story. It's a well written and developed read, and I for one, can not wait for the next book! I listen to the audio and really loved how the narrator grabbed you. He did an amazing job of bringing the story to life and portraying the harshness of life in a zombie apocalypse. 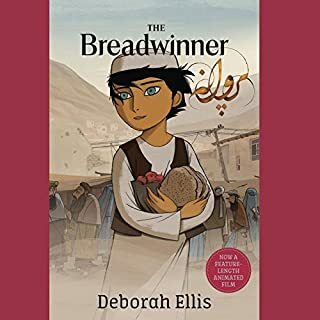 Would you consider the audio edition of The Breadwinner to be better than the print version? To each their own. Scott Birney does an excellent job voice acting all the different characters and plot points. This gives a an intense audio experience. Our protagonist, Sampson, is an unassuming hero. Like many Americans, Sampson was already disillusioned by the American Dream and slept walked through life. Too bad it took an apocalypse for him to fulfill his primal and creative potential. Have you listened to any of Scott Birney’s other performances before? How does this one compare? Perfect listen for the treadmill. This book is about 5 hours to listen to, or a 5 day workweek doing a 1 hour cardio listen. Intense scenes of violence beautifully acted will engulf your senses with no way to escape it, just like the characters go through. Expect your heart rate to go up. Amazingly good! Can't wait to start the next one! So sad to see it was over already, I want more!! 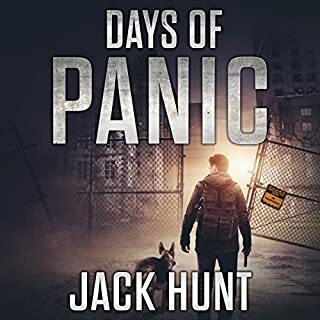 The jumping from scene to scene and character to character was confusing in the audiobook. I took a lot of the book trying to piece it all together and I do think this might have been better in print. Would you be willing to try another book from Stevie Kopas? Why or why not? Yes. The story and characters were great. By the time I finished I was hooked, it just took a long time. I really do think if I had read this book instead of listened then it would have been a better experience. What three words best describe Scott Birney’s performance? Do you think The Breadwinner needs a follow-up book? Why or why not? I still want to know what happens next. This is the debut audiobook from a new author Stevie Kopas. I am sure that this will be a welcomed addition to a very crowded genre. As the story is primarily told from the females perspective, not only that but one that is not a survival expert or prepper. Best part of this particular zombie apocalypse is the fast zombies or eaters as they are often referred to here. I remember the first time I encountered them in 28 Day Later, since then they have always held a very special place in my heart. There were zombie attack scenes that made me squirm a bit. Kopas was able to inject each of them with just the right amount of terror and gore. The characters grew and evolved right before your eyes. I just couldn’t find a connection to any of them. While to storyline was solid, I found it difficult to pay attention due to the narration and for this book, maybe the print version would have been much better. There were times that I got confused about whether the story was happening now or then, due to the amount of flashbacks and flash forwards. This was my first time listening to a performance by Scott Birney. Unfortunately, I will have to think long and hard before choosing another by him. I found his voice pleasant overall, deep and resonating, he speaks clearly and concisely. Firstly I think he was the wrong choice to narrate a book that is primarily from the female perspective. His strong and deep voice just didn’t fit. Then his pacing was perfectly steady, I find it much more of a pleasant listen when there is a fluctuation of the speed of the reading. Then he sounded almost completely emotionless throughout. The “from the author” at the very end of the book was one of the only points to where Birney added some sort of emotional fluctuation. 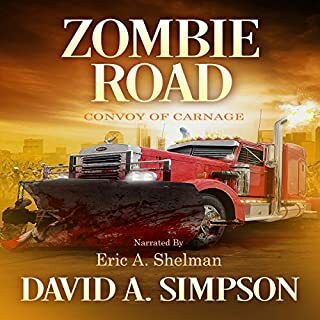 Audiobook provided for review by a friend of the author. This is an audio book which made me wish I had read the print version. I had a hard time with the narrator. The narrative style was not attached enough emotionally. Luckily, the narrator's voices were good. 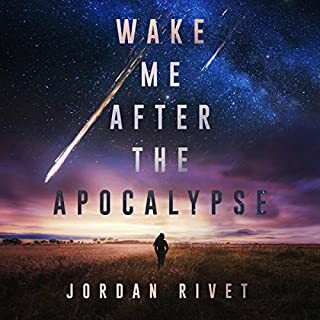 Perhaps the narrator's style would be OK for another type of book, but it doesn't fit zombie apocalypse. All in all, the narrator made it a struggle to stick with the story. Breadwinner is a fast paced and action packed story. Its greatest strength lies in the diversity of its characters and, of coarse, the drama of their interactions. I would have preferred a bigger part for Ben, but from what I read, I can expect more in the next of the series. My biggest complaint about the storyline was the character of Sam's wife. I found her somewhat cliche and over-the-top. Her character was somewhat a means to an end though, so this didn't detract too much from the story. Otherwise, the characters and plot were an enjoyable way liven up the weekend chores. Finally a return to the traditional zombie genre! No alien races... no good verse evil supernatural beings... no secret organisation behind the end of the world. Just good old-fashioned character development in a zombie outbreak. Or is it? The author seems very careful not to use the word zombie. Not once was the 'z' word used. I wonder why? I find that a little strange. The people doing all the chasing are called ‘eaters’. As a fat man I pictured a bunch of fat people shuffling along after the people in the story all going ‘num num get in me belly little people’. Ok with that little strangeness aside. The only real gripe I had with this one was the length, just under 6 hours in total. The narration was good but had to be increased to 1.25x speed. So the listening time was shortened somewhat. I noticed the second in the series is about the same. This is a trend that is starting to annoy me in this genre. It is now far too easy to listen to one title in one day! At say $13 a title that soon adds up to a very expensive hobby over the course of the week! I know this is harsh on the author. But I’m really starting to bulk at any title, which is so short in length. Particular since the second one could have been combined with the first in the series. Ok rant over with, normal service will return. The author does a brilliant job at developing the characters. The character flaws and strengths make the characters believable and cause you to want to know what happens next. The narrator also is excellent in bringing those characters to life. I liked this one enough to purchase the second before I finished the first. However, with my earlier rant about the ‘z’ word and the price I feel compelled to advise if you are on a budget and a heavy listener. Then wait until this is on special. If the money per hour is not really a factor, you can’t go to wrong with this one. So rather that this fast fat man giving the 'Breadwinner' two thumbs up. I will give it one thumbs up with a stupid grin on my face! You have to wait for it. But overall a good storyline. Good character development. Wish the narrative had a little more pizazz. But overall I enjoyed the book. I really enjoyed this book! 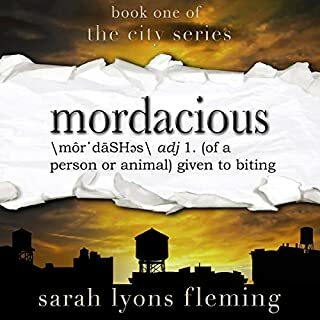 The characters are likeable (mostly!) and the action exciting! I found I looked forward to getting back into the story whenever I had to stop to do something else. This was my first time listening to an audio book and I must say its not my favourite way to "read" a book. At times I found the story a wee bit hard to follow if I hadn't listened for a day or two - I found I had to go back quite a bit to remember who the story was with at the time. I also found it a bit hard at times to figure out who was talking - and the female and gay male voices were the same - I understand that with one person narrating the book, that's just how it is - but as I said, this was my first time listening to an audio book and this is just my opinion and experience. Over all, I loved the story and the characters and I'm really looking forward to the next book so I can continue to follow their adventures! Thanks so much Stevie for a great story! This book went way beyond my expectations, the down side is that I have to wait for the next one, I really wasn't ready for it to end.